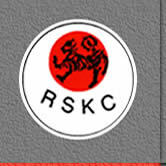 Rochfords Shotakan Karate Club was founded in 1982 by brothers Robert and John Bertie, as a means of sharing their knowledge of Karate with people in the community. Since that time, we are proud to have created a karate club with enormous spirit, a loyal membership and a lively, ongoing programme of activity. 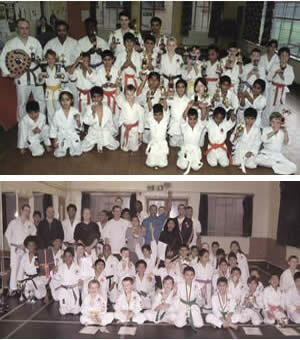 In the beginning the club was part of the youth club at Rochfords Youth and Community Hall on the Uxbridge Road in Slough, and while it started successfully, on many occasions, karate classes were very small, and core membership consisted of just a few students turning up on a semi regular basis. When membership was opened up to all ages from the community in and around Slough, the club began, slowly, to prosper. As a small karate club, Rochfords lacked the means to achieve a high profile, and as a community activity, not a commercial business, we did not advertise. But as the years passed, membership steadily grew and the club's profile rose. In 1990, John left the UK to work in Canada, although he has always kept a close interest in the club that he helped to build and has frequently visited to see members take part in major competitions. The club has a very loyal membership base, and every year many events are arranged for the members, including separate and well-attended parties for Juniors, Teenagers and Adults, as well as an annual competition where students compete amongst themselves both in free fighting (Kumite) and pre arranged moves (Kata). 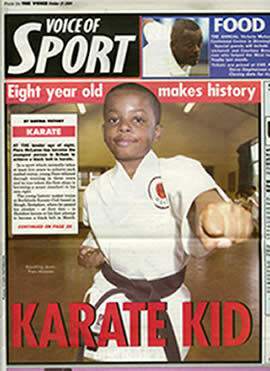 Through the years, the club has had an extremely successful record in karate competitions, both Kumite and Kata, in team and individual events. Richard Bertie is Robert's son, and at the age of nineteen has been UK Kumite (free fighting) champion on several occasions and represented the UK in Cyprus in November 2002. Yet despite this success, there is little pressure on members in the club - save for them to do their best. The club has survived and prospered because it is run like a big family. Parents help with transport to competitions away from Slough, as well as giving support to the students as they compete - and being there if all does not go to plan! And today, despite its growth, ninety percent of the club's membership is from the local Goodman Park and Rochfords Garden estates. 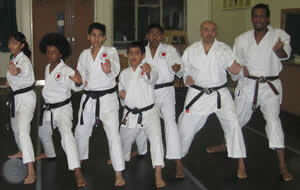 Ages vary greatly, but all are welcomed, and the club's view is that because Karate promotes self-discipline and motivation as well as physical fitness and knowledge of self defence, Karate is for everyone.